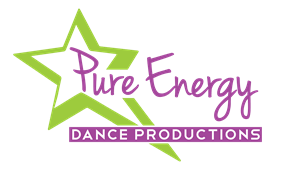 We are so excited to have you register for dance classes at Pure Energy Dance Productions! We look forward to dancing with you! In consideration of the benefits of instruction provided by Wilcox's Pure Energy Dance Productions, for my child(ren), I, Intending to be legally bound to hereby enroll my child named above in the program and do hereby waive claim and release finally the Wilcox's Pure Energy Dance Productions, Katherine (Ellen) Wilcox, its staff, instructors and other personnel from claim or liability for any injury or accident occurring or arising from the instructional program or incidental sponsored activities either on or off premises. I do authorize emergency first aid care to said student(s) by Wilcox's Pure Energy Dance Productions in the event he/she becomes injured or ill during instructional program or incidental sponsored activities either on or off the premises. If the parents and/or guardians of the child are not immediately available by the telephone numbers provided in this agreement, I further authorize Wilcox's Pure Energy Dance Productions, Katherine (Ellen) Wilcox, or such agents as she may authorize, to retain the services of a doctor or other competent medical person in order to treat the said minor child. I do realize and agree that said student(s) and parents must comply with reasonable Rules and Regulations set by Wilcox's Pure Energy Dance Productions We understand and approve that violations of said Rules and Regulations may be the basis for termination of this Agreement. Participation in programs, recitals, or demonstrations, etc., will be based on attendance, attitude, ability, and cooperation of the student. All decisions regarding participation in these events will be made by the staff. The undersigned gives permission to Wilcox's Pure Energy Dance Productions, its owners and operators to seek medical treatment for the participant in the event they are not able to reach a parent or guardian. I hereby declare any physical/mental problems, restictions, or condition and/or declare the paricipant to be in good physical and mental health. I request that our doctor/physician _______________ (listed previously on form) and be called at this phone number _______________(listed previously on form). For 2017-2018 Season REGISTRATIONS: Tuition is based on a monthly rate. Notice of a drop must be given two weeks in advance to the office, in writing. A word to the teacher or a friend is not acceptable. Failure to notify will result in continued tuition payments. Tuition is due for the entire month in which the drop occurs. This rule is strictly enforced. No student may drop and re-enroll without full repayment of recital/demonstration and tuition fees. Tuition is due on the 1st of every month, in advance. We strongly urge all participants to enroll in the Automatic Pay program. If tuition is not paid in full by the 15th of the month, a $15 late fee assessed. ALL fees (dancewear, performance, etc.) are subject to said late fee if not paid by the stipulated due date. THIS RULE IS STRICTLY ENFORCED. LATE FEES WILL NOT BE WAIVED. ALL FEES AND TUITION PAYMENTS ARE NON-REFUNDABLE. NO MONTHLY STATMENTS WILL BE MAILED. Registration Fee of $40 per student or $55 per family due with registration. LATE FEE - $15 TO ALL UNPAID ACCOUNTS AFTER THE 15th OF EACH MONTH. ALL OUTSTANDING ACCOUNTS WILL AUTOMATICALLY BE PROCESSED ON THE CREDIT CARD GIVEN WHEN REGISTERING. There is a $25.00 returned check charge for any checks returned by the bank. Wilcox's Pure Energy Dance Productions has my permission to use my dancer's photograph, likeness, profile and/or story in any publications, Web pages and other promotional materials produced, used by and representing Wilcox's Pure Energy Dance Productions. I understand that there will be no compensation to me or my family for this use.